Guest post by Jason Van Heukelem, superintendent of Winchester Public Schools. The question we have to ask, however, is how can we make global learning accessible to all students, across all types of communities, both rural and urban? How can we make global competencies whole-school initiatives, instead of a special program only available to a select group of students? How can we create global programs that grow global citizens? Global Programs: the Who, What, Why and How? The goal of a global program is to help students realize who they are as cultural beings – in both local and global contexts. We want students to become aware of global issues, yes, but to also have a broader view that encompasses the communities around them. We also want students to have innate curiosities and to take action on those deep inquiries. Whole-school integration: Everyone should be involved, including front office staff, support staff, and teachers. Global concepts selected by a committee: After engaging with a group of teachers and presenting them with concepts, teachers select two or three (often overlapping) to explore for the year. Some concepts might include empathy from a global and local perspective, effective global communication or self-awareness in global issues. Project selection based on teacher interest: Building on their existing interests or experience, each teacher selects a project to explore with their students. For example, access to clean water or sharing STEM-based coding outcomes with students in another country. Professional development courses: After the planning process is complete, the next step is to identify the professional development courses that will help build skills or competencies to support that project. Courses have topics such as accessing creativity, effective technology integration or the U.N.’s Sustainable Development Goals. Peer review of learning products and student involvement: As a critical piece of the puzzle, teachers collect evidence throughout their projects and upload it to an online learning platform. Certified reviewers look over and offer feedback and reflection. Increased student engagement and achievement, boosted college and career-readiness and heightened teacher retention rates are a result of our framework. We support educators as they explore, experiment and reflect upon their global education journeys. Global citizenship means having an understanding and awareness of a wider world and one’s collective and individual place in it. As educators, we are challenged with teaching the next generation of global citizens to be empathetic, active members of society. By creating programs with frameworks that encompass the above components, we can build schools that support students in becoming lifelong, global learners. 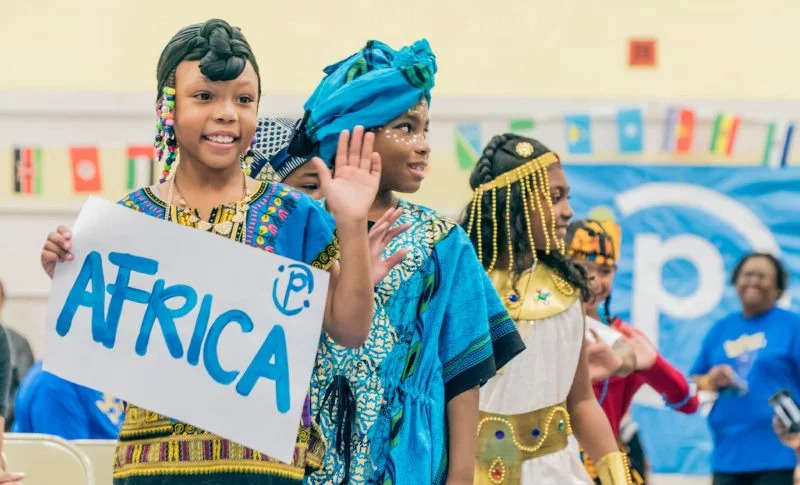 Learn more about Participate Learning’s global programs.